Myocarditis is an inflammation of the heart muscle and is one of the cardiac conditions associated with sudden death in young athletes. When it occurs, myocarditis often has no symptoms early on, and a young athlete may feel well enough to compete, unaware of the problem. After the diagnosis, however, exercise will be restricted. How can a young person with myocarditis ease back into exercise, how much exercise will be doable in the future, and what exercises may or may not be recommended? Before discussing an overview of myocarditis and exercise recommendations, it's important to talk about young athletes who have mild myocarditis, and hence, may not be aware of their exercise limits. In some ways, having mild myocarditis can be more dangerous than having severe disease. Early on in the course of myocarditis, people may have few if any symptoms. 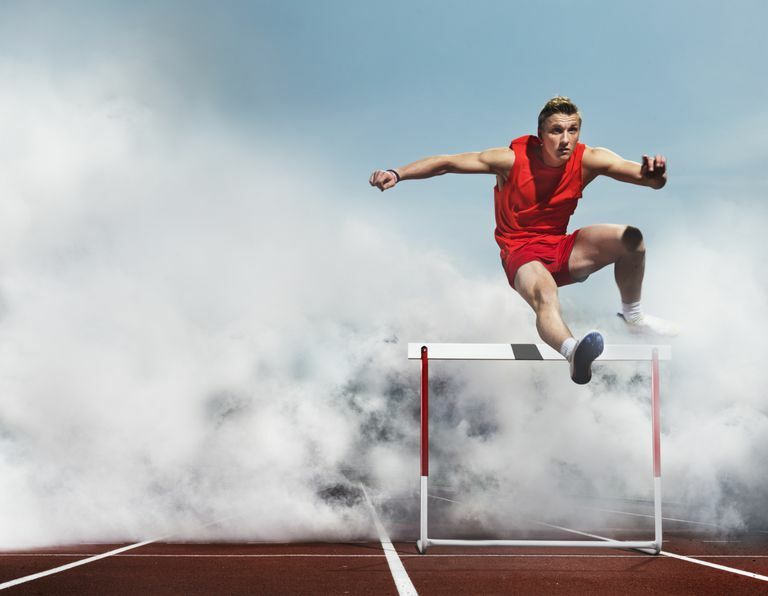 This means that a young athlete with myocarditis will often feel well enough to compete, and may be completely unaware of the potential danger. Even with very mild myocarditis, young athletes must significantly restrict their athletic activities until given an "all clear" by their cardiologist. Symptoms of myocarditis can vary tremendously in patients with myocarditis, depending largely on the degree of inflammation present in the heart and the amount of heart muscle damaged by the inflammation. When myocarditis is severe and affects a large portion of the heart muscle, it can produce overt cardiomyopathy and heart failure. This is usually accompanied by symptoms which include dyspnea (shortness of breath), fatigue, weakness, and edema (swelling). On the other hand, myocarditis may affect only small portions of the heart muscle, with only very mild symptoms such as mild weakness or easy fatiguability. Sometimes, the only symptom is chest pain that only occurs during exercise. In some cases of myocarditis, there are no symptoms at all. There are a number of tests that are used to diagnose myocarditis, including an electrocardiogram (ECG). Again, it's important to note, that many people who experience sudden death due to myocarditis have had only mild symptoms, and therefore, have not had the testing which would reveal the diagnosis. As mentioned at the beginning, exercise for young athletes with only mild myocarditis can be dangerous. These are the people who are most prone to sudden death during athletic events. For far too many of these people, there has been no reason to perform heart tests that would give clues that heart inflammation was present. If you are a parent with a child with mild myocarditis, it is important to make sure your child is as familiar with exercise recommendations as you are. Myocarditis often develops at the same time of life when young people are trying to become independent and make their own decisions. In addition to the risk of death, too much exercise may put a child at risk of permanent heart damage and disability, and it's paramount that these young athletes understand this. When a diagnosis of myocarditis is made in a young athlete, it is most often strongly recommended that they completely avoid all competitive sports for at least six months, only resuming competition if cardiac tests show complete recovery. When myocarditis is first diagnosed, exercise is usually curtailed completely until a full understanding of the details of the condition is known. In general, exercise (of any degree) is not recommended until the function of the left ventricle of the heart (the large heart chamber that pumps blood to the rest of the body) is back to normal, and there are no abnormal heart rhythms. Even if there are no arrhythmias, and ventricular function is normal, exercise should not be reinstituted if there are any signs of persistent inflammation in the heart. But many other factors will need to be considered as well, including the possible cause of the myocarditis, and if it is transient (such as an infection) or a progressive process. Some causes increase the risk of sudden death much more than others. For example, it was found that exercise increased the risk of death by 45 percent for those with Coxsackievirus-induced myocarditis. As a person's condition improves, and moderate exercise is deemed safe, it can be beneficial. That said, any exercise should only be started under the careful guidance of your cardiologist. For many people, cardiac rehabilitation may be prescribed to make sure this takes place in a controlled setting. Exercise is known to have anti-inflammatory effects as well as effects on the immune system which helps fight viruses (the cause around 50 percent of cases of myocarditis). Once a person is cleared to return to exercise, only moderate exercise is usually recommended. Moderate exercise is enough to see the benefits with regard to inflammation, whereas extreme exercise may not only be risky but may enhance the heart-damaging effects of viral myocarditis. Competitive exercise should be avoided for at least 6 months (European recommendations, American recommendations are 3 to 6 months), and then only returned to under the guidance of a cardiologist. Before returning to activity, athletes should be thoroughly evaluated with an ECG, stress ECG, Holter monitoring, and an echocardiogram. Some cardiologists may recommend a heart MRI, though we aren't certain of the benefit at this time. Athletes that have scarring of their heart may be at greater risk of abnormal rhythms and sudden death, and a return to competition may not be recommended. The long-term outlook with regard to exercise recommendations with myocarditis will depend on the cause, as well as any permanent cardiac damage that was sustained by the inflammation. Many viral causes of myocarditis are self-limited but may leave lasting damage which could restrict physical activity in the future. The best type of exercises for those who are recovering from myocarditis will depend on several factors, including any persistent cardiac damage or scarring. A program for exercise should be carefully worked out with your cardiologist, and beginning with cardiac rehabilitation is a way to monitor activity as safely as possible early on when activity is begun. Myocarditis is often caused by viral infections which can affect young adult athletes. Unfortunately, those most at risk for sudden death are often those with the mildest disease, as their symptoms have not alerted them to the problem. Once diagnosed, physical activity is greatly restricted for several months. Prior to returning to activity, a cardiologist will want to see that heart muscle function, particularly left the ventricular function, has been restored, and that no abnormal heart rhythms are present. It's also important to make sure the inflammation of myocarditis has resolved, though there are no simple ways to determine this. Cardiac testing including an ECG, ECG stress test, echocardiogram, Holter monitoring, and other tests may be recommended. Acceleration of exercise once begun, and the particular exercises recommended, will depend on your particular situation, and should be carefully discussed with your cardiologist. This should be accompanied by any precautions she suggests, and information on any symptoms to watch for to determine if the activity is too much. Cooper, L. Treatment and Prognosis of Myocarditis in Adults. UpToDate. Updated 08/28/17.